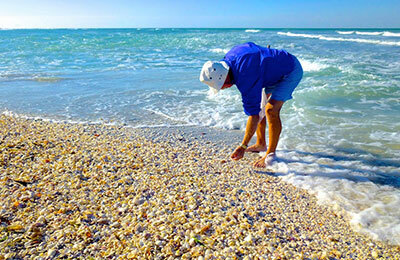 Searching for shells on Pine Island is a relaxing and very fun way to spend the day here in Florida. There are a few things that you will need to know to get the most out of your shelling experience. Below we will give you some tips on what you will need to shell, where the best places are to shell, and when the best time to go shelling on Pine Island is. 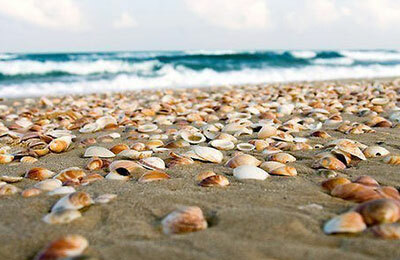 Shelling on the gulf-side of the beach is the best place to find great shells. 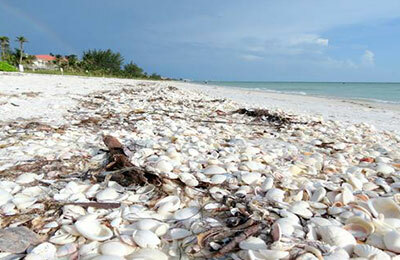 Any area along the beach here offers a wide variety of shells. Whether you wish to shell at the edge of the water, in the sand several feet up from the water, or in the water around low-tide, you are sure to always find some great shells. You can find great shells any time of day on Pine Island, however low tide is often the best time to find great and unique shells. 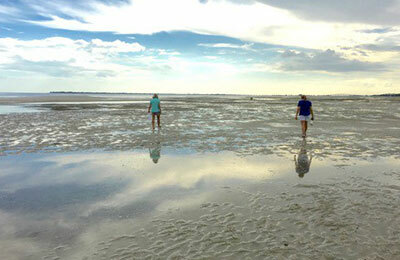 During low tide, the water is very shallow allowing you to see a lot of the ocean floor. This shallow water exposes shells that are hidden during regular and high tide. Another great time to shell is after a storm on the beach. However, it is important to not shell during a storm that is producing lightening and large waves. It is best to wait until the storm has completely cleared the area to begin shelling. The Florida Shelling Laws are put in place to make sure that our wildlife habitats are preserved. If you find a shell that contains any specimen whether it may seem to be alive or not, you are outlawed from removing these specimens from the beach. You are also not allowed to remove any sea urchins, starfish, or sand dollars so be sure you follow the rules and regulations on shelling in Southwest Florida.